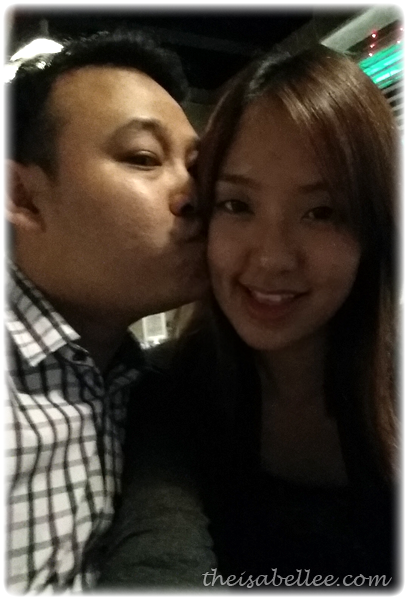 Playing with my then new Samsung Note 3. Not something I would normally order but le Bf said we should try it so okay! 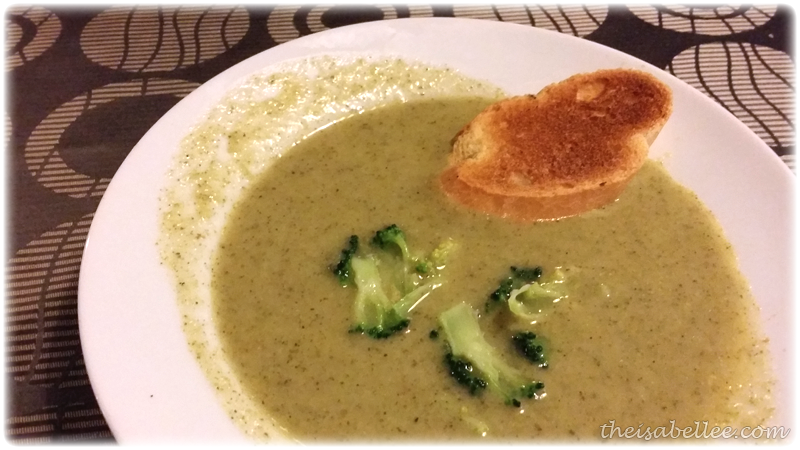 This is a creamy green soup which you should avoid if you hate veges. I have no complains since I love my greens plus it went went with the fragrant garlic toast. 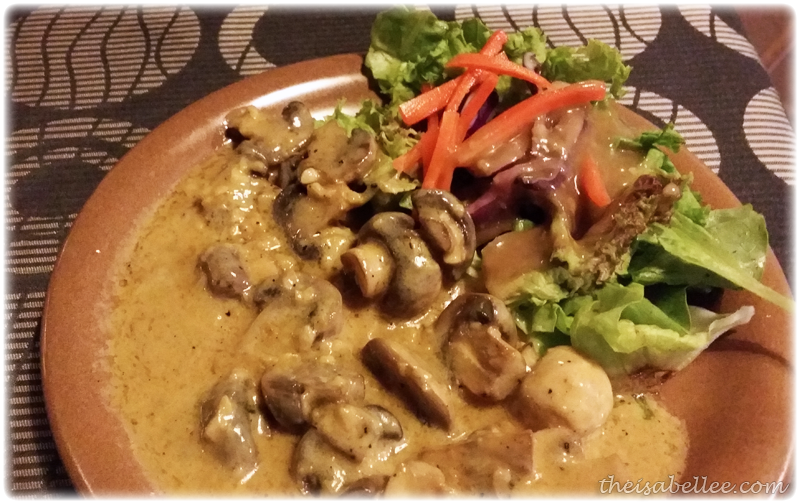 This was described as grilled button mushrooms with Dijon mustard cream sauce in the menu. Loved the heavy garlic taste which excited my tastebuds. However, towards the end, I found it to be too salty as the sauce was really 'kao'. Should probably share among 4 people. 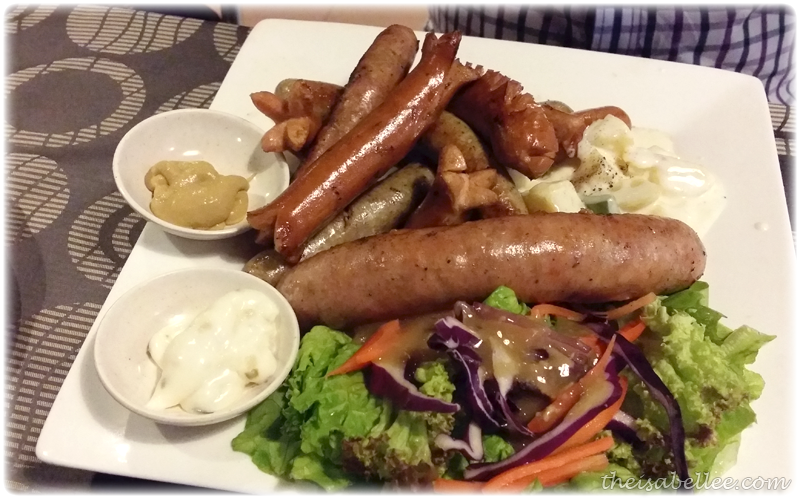 A mixture of grilled pork and chicken sausages resting on potato and green salad. So-so dish. Nothing really special about it if you've tried sausage platters elsewhere. Looking back at 2012's post, I think I ordered the exact same thing HAHA! 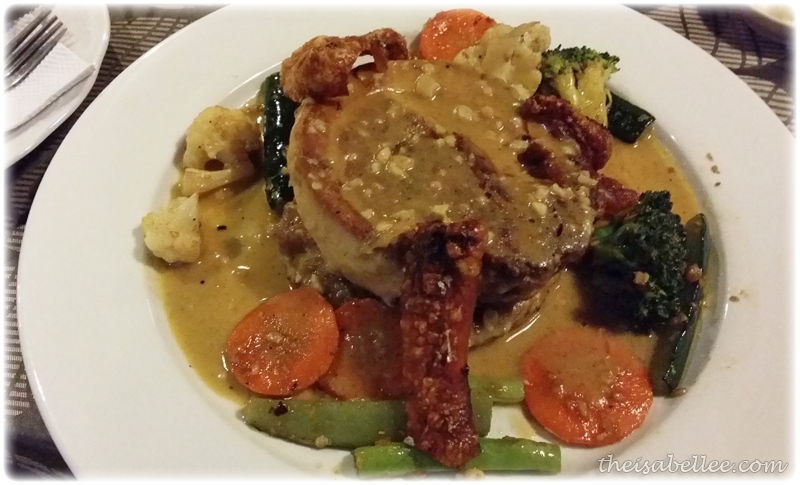 Roasted pork belly, served with sauteed vegetables & Dijon mustard sauce. Pork was extremely tender and juicy. Enjoy the yummy layers as you discover the ham and cheese stuffing within. Vegetables cooked well til even the broccoli were soft. As usual, potato pancake underneath was just amazing. 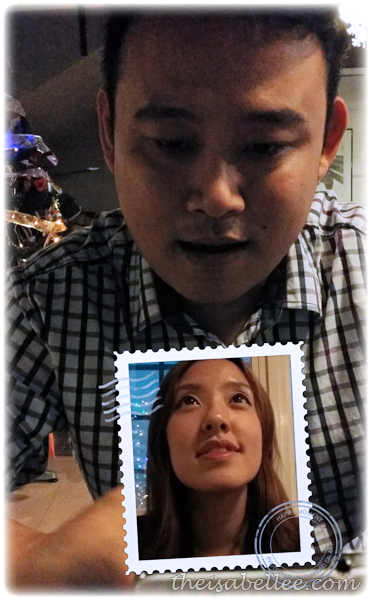 Moments after I uploaded that last pic, Picasa decided to 'bling' it automatically wtf! I dunno man! Like how would they know that that is my bf kan?